Insights from the collaborative Queensland Social Enterprise (QSE) project which established or helped expand more than 50 social enterprises to address employment exclusion. Social Ventures Australia (SVA) is committed to solving employment exclusion for disadvantaged Australians. 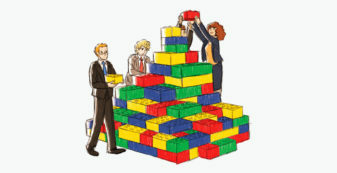 Development of social enterprises (SEs) – businesses that trade for a social purpose – can be effectively achieved through cross-sector linkages – in particular bringing corporate knowledge to the non-profit sector, mobilising funding, building SEs’ capabilities, and by promoting social procurement as an engine of SE sustainability. This is well demonstrated in the Queensland Social Enterprise (QSE) project2 which over a six-year period built collaborations with a diverse range of corporate and government bodies in Queensland, and leveraged more than $5m of funding to grow SEs tackling employment issues. The QSE project started out small in 2006 as a $90k pa project with co-funding from Brisbane City Council, PricewaterhouseCoopers (PwC) Foundation and SVA. By the end of 2012, the project had worked with 57 SEs created nearly 500 jobs for people seriously disadvantaged in the labour market, provided 110 employment pathways and won credibility nationally for the social enterprise model as an innovative way of achieving this. The project also leveraged a significant amount of pro bono support from the corporate sector, and started to open doors for ‘social procurement’ – in which government departments, councils and corporates began to commit their purchasing power for a social benefit. In the initial project, branded the Brisbane Social Enterprise Hub, PwC Foundation provided access to mentors and pro bono assistance while Brisbane City Council identified potential SEs and offered opportunities for contracts. Later Ipswich and Logan councils and Queensland’s Department of Employment, Economic Development and Innovation (DEEDI) with its Skilling Queenslanders for Work program joined the collaboration and it became the Queensland Social Enterprise Hubs. By the end of 2009, the fledgling social enterprises and SVA’s model of SE development had attracted significant federal and state government interest and money on the back of initial funding from two philanthropic bodies. …to address the exclusion issue we needed to use resources efficiently as the only way to get to scale. By mid-2010 the burgeoning project involved numerous players. Other government departments included the Federal Government’s Department of Education, Employment and Workplace Relations (DEEWR), and the Queensland Department of Communities. As well as funding, these departments provided marketing and looked for procurement options – in principle. Providing credibility as well as practical assistance, the corporates included King & Wood Mallesons, Cirrus Australia, Comscentre, Westpac Group, and QIC as well as PwC. Having the kind of impact you want in the complex area of growing SEs to overcome long-term unemployment requires a myriad of players ‘doing their thing’. The story of Brothers’ Act of Random Kindness (BARK), a Townsville social enterprise which addresses unemployment amongst Indigenous men at the same time as providing vegetation management and park maintenance services, reflects this complexity. 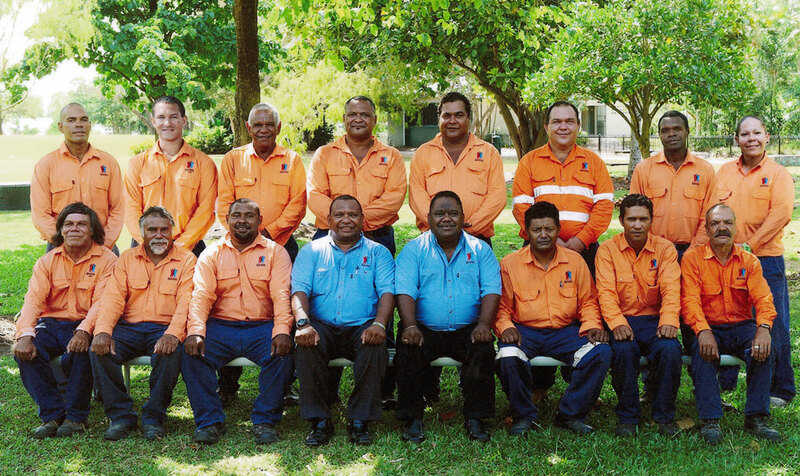 In the centre in blue shirts: BARK CEO, Gavin Kumsing (left) and Chris Townson, BARK Operations Manager, along with the other BARK employees in 2012. The SE got off the ground thanks to a three-year contract from Townsville City Council. The initiative of Indigenous man now social entrepreneur and CEO, Gavin Kumsing, BARK began as a project sponsored by the Townsville City Council (TCC). In early 2010, BARK’s application went before SVA’s commerce panel, part of the process for assessing potential SEs. The panel decided that funding would be subject to BARK winning a contract for ongoing work with TCC. BARK CEO Kumsing and Andrew Hamilton, then SVA Employment Manager, put the case for a social procurement contract to the TCC decision-makers in April. With the encouragement of TCC’s commercial manager who championed the arrangement, and after some 6 months of negotiation, the TCC committed not only to a 3 year contract of $300k pa with BARK but to provide training and employment pathways for BARK’s employees. Based on this commitment and strong interest from some large companies in the region, BARK was established as an independent SE providing 12 month work programs with on-the-job mentoring. By the end of 2011, it had created 23 jobs. The creation and growth of BARK as a SE was only possible through the elaborate funding model which included four government funding sources and a philanthropic grant. On top of facilitating this funding, in its support role SVA assisted BARK’s development through its networks and capability building. SVA Consulting also provided support in the form of strategic planning, financial modelling and social impact evaluation. BARK was just one SE; there were 56 others, each with its own unique situation and needs. From this six year project, there were eight main insights. 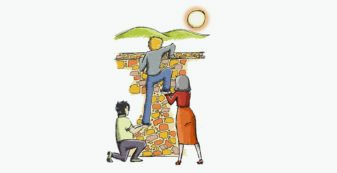 Building collaborative partnerships redefined the traditional purchaser-provider relationships and changed the culture. We needed a champion… Without them, our words fell on deaf ears. Getting social procurement off the ground requires a great deal of education and needs a champion in the council or government department to help cut through bureaucracy. “There was a lot of work in educating the councils and departments to understand the value of social procurement for them and the community,” says Hamilton who brokered the bulk of these contracts for the SEs. “Also, the people in the state departments who provided the funds for the project weren’t the ones who made the purchasing decisions. We needed a champion in the organisation who would carry the flag and educate others. Without them, our words fell on deaf ears. In general, the purchasing decision-makers were risk averse and preferred to use suppliers they already knew,” says Hamilton. “And for efficiency they wanted to put out one big tender for say a million dollars rather than 10 smaller ones that the social enterprises could manage. The two parties were at opposite ends of the spectrum.” Although significant effort went into brokering these contracts, they did provide enough market certainty for a number of the SEs to start up. And, as a result of this project, the value of social procurement is recognised more broadly. At the end of 2012, the Gold Coast Council tendered a massive cleaning contract worth a few million dollars over three years which specifies a social impact as part of the job outcome. Without this approach… it is difficult to grow sustainable SEs. Ongoing insights were embedded in the investment plus support model for SE development. With feedback over the years from stakeholders, SVA honed this approach which provides a pipeline for development of SEs from the ‘dream’ stage to sustainable growth. SVA also incorporated research into international best practice into the model. “Without this approach which integrates development with investment support, it is difficult to grow sustainable SEs,” says Robbie. This support includes everything from business planning and market development to leadership, governance and management training, from marketing to impact measurement. Most importantly, SVA has learnt that the support needs to be tailored to each SE and its specific needs. 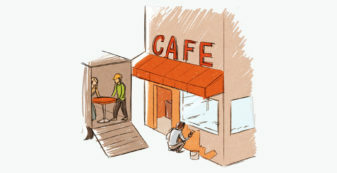 See the SVA report Solving employment exclusion using social enterprises. For other insights about growing and sustaining SEs see The hidden business of social enterprise, and STREAT’s ahead: funding social impact with equity. Over the project, SVA won recognition by funders for its intermediary role as facilitator and support provider to the SEs. Through involvement in the process, funders came to recognise the importance of investing time and effort as well as money in the early stages of developing the SE through the facilitation, due diligence and commerce panel process. The project demonstrated the value of investing up front. For example, the commerce panels checked and queried data and assumptions from the business plan and recommended what might be required – as with BARK. SVA was very considered. It had a process… it was clearly setting people up to succeed. Collective impact – how did it stack up? The collective impact (CI) model for solving entrenched social issues, developed by John Kania and Mark Kramer from US social impact consultants FSG, is attracting increasing attention. 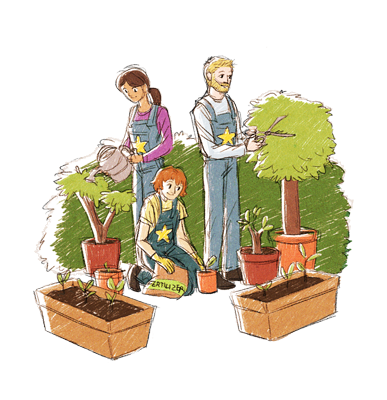 Recognition that large scale social change requires coordinated and broad cross-sector collaboration means that funders are looking for collaborative projects to address social issues in communities. In many ways, SVA’s experience in the QSE project was a forerunner to the CI model and highlights some of the necessities and challenges in implementing a successful CI project in the Australian landscape. In terms of mutually reinforcing activities (one of the defining aspects of the CI model), the councils’ social procurement contracts were significant in reinforcing SVA’s support of and the funders’ investment in the SEs – even though a lot of education was needed to bring them about. “We were also able to get 20 plus SEs together to create a peer network, and train with each other and we were beginning to support them to collaborate on tenders for council contracts,” said Robbie. One issue in the Australian context is the level of government funding. “Because of government’s accountability, its funding is not as flexible as philanthropic funding and this can restrict the possibilities both in terms of what you can do and how you can do it,” says Robbie. For example, SVA recognised the need for a shared measurement system amongst all the SEs, and a shared reporting framework back to the participating organisations. However the closest it got was one reporting system to the steering group until the very last phase of the project when one reporting framework was achieved. Developing effective and trusting partnerships required and contributed to continuous communication. It was also a function that SVA staff fulfilled as they facilitated communication with and in relation to the SEs. The role of a backbone organisation in the CI model is new and not well understood. According to FSG, the expectation that collaboration can occur without a supporting infrastructure is one of the most frequent reasons why it fails. …we’ve got a long way to go for the significance of this role to be properly understood. In the US, FSG is beginning to see more attention being paid to this role. “Some funders now recognise the critical value of the “interstitial” and connecting roles that backbones play,” says Emily Gorin Malenfant, Senior Consultant at FSG. It is also understood that initiatives must build on existing collaborative efforts.6 Certainly, the QSE project did that with its slow growth from a fledgling project to a much larger collaboration. For all its near misses in applying aspects of the CI model, the QSE project has laid many foundations in practice and culture for a more impactful collective project. The SVA Employment team is already creating a new SE project in Perth which is more reflective of the collective impact model, and it plans more projects in the future. SVA Consulting is exploring collaboration opportunities on the application of the collective impact model with the Centre of Social Impact and FSG. 1. The collective impact model was developed by Mark Kramer and John Kania, from US social impact consultants FSG, and first published in Stanford Social Innovation Review winter 2011, Collective Impact by John Kania & Mark Kramer. 2. The QSE project is the term used to cover various projects that were funded from 2006–2012. These included Brisbane, Ipswich and Logan Social Enterprise Hubs and Queensland Social Enterprise Hubs funded by DEEDI. Other government projects included the Department of Communities’ Queensland Inclusive Social Enterprise Project (QISEP) for SEs creating opportunities for people who have been long-term unemployed due to mental health issues and its Youth Enterprise Partnership (YEP) which targeted young people at risk; and the Federal Government’s Jobs Fund through its Supporting Social Enterprise Project (SSEP) which addressed long-term unemployment. The final funded project, Queensland Social Enterprises Partnership Project (QSEPP), had matched funding from DEEDI and Department of Communities. 3. Stanford Social Innovation Review, Jan 2012, Channeling Change: Making Collective Impact Work by Fay Hanleybrown, John Kania & Mark Kramer. 4. Stanford Social Innovation Review, winter 2011, Collective Impact by John Kania & Mark Kramer. 5. Stanford Social Innovation Review, July 2012, Understanding the Value of Backbone Organizations in Collective Impact by Shiloh Turner, Kathy Merchant, John Kania & Ellen Martin. 6. Stanford Social Innovation Review, Jan 2012, Channeling Change: Making Collective Impact Work by Fay Hanleybrown, John Kania & Mark Kramer. Outlines the six-year, $5m plus Queensland Social Enterprise (QSE) project which through collaborations with both government and corporates grew over 50 social enterprises to tackle employment exclusion. Identifies the key learnings and challenges of facilitating such a complex project. Examines how the project stacks up against the collective impact model1 (see Stanford Social Innovation Review) of cross-sector collaboration for targeting broad social issues. A project to prepare Australian Disability Enterprises (ADEs) looking to transition to a commercially viable social enterprise or social firm model.